February 2019 sees the launch of the brand new Sonos Amp. Replacing its predecessor (Connect:Amp), the new Sonos Amp sees an all-new form factor, as well as big performance jumps in power and specifications. Sonos Amp has been designed to power your in-ceiling, in-wall, bookshelf or floor standing speakers to name a few. Simply wire your existing speakers to Sonos Amp and inject all of today’s latest technologies & music services while using the speakers you already love. Sonos Amp also gives current Sonos users or new customers maximum flexibility when adding speakers to Sonos Amp. 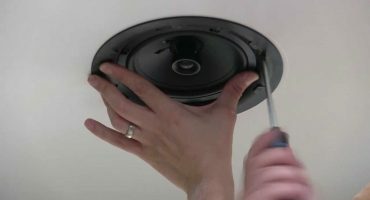 Add in-ceiling, in-wall or even outdoor speakers to Amp, and you can add that Sonos zone to where the current Sonos line-up is not suitable. Like our Sonos AMP unboxing video, and want more information on AMP?